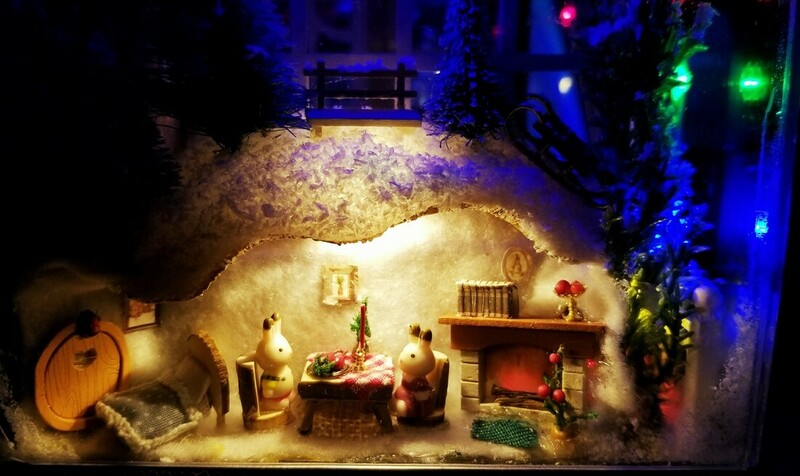 10" × 10" x 10"
How I got started making dioramas and other miniatures is with this, my very first diorama created as a Christmas present for a sister. 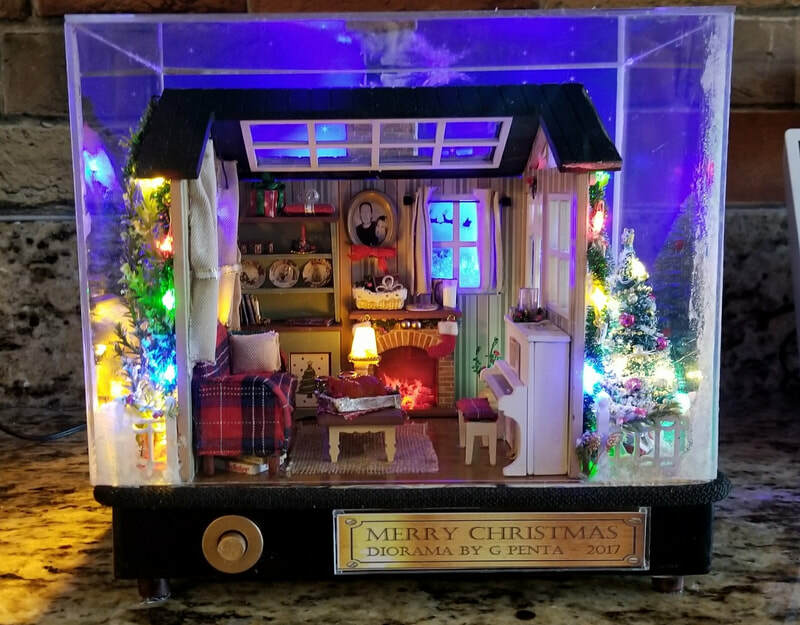 It features three separate scenes including a lighted rabbit burrow in the snow, miniature hidden presents, and a button on the front that when pushed plays Nat King Cole's 'The Christmas Song'. 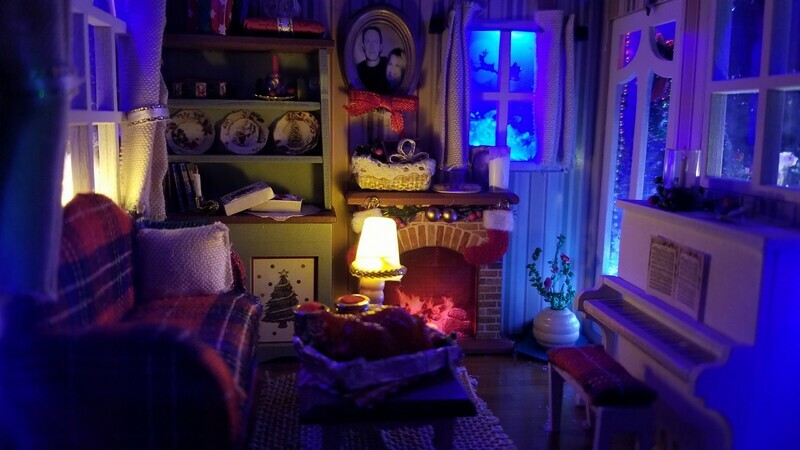 YouTube video showing the making of my Christmas diorama.